The National Park Service has announced a new round of its popular African American Civil Rights Grants, with an application deadline of October 8, 2018. You may recall that four Mississippi applications received awards in the last round, and two in 2016, so maybe we’ll have as good success this year. Good luck! The National Park Service’s (NPS) African American Civil Rights Grant Program (AACR) supports projects to document, interpret, and preserve the sites related to the African American struggle to gain equal rights as citizens in the 20th Century. We are currently accepting applications for FY2018 grants under this program. For the 2018 funding round, applications will be accepted through two separate funding opportunity announcements, one for physical preservation projects (P18AS00485) and one for history projects (P18AS00484). Applications will be accepted only through grants.gov from August 7 to October 8, 2018. The NPS 2008 report, Civil Rights in America, A Framework for Identifying Significant Sites serves as the reference document in determining the appropriateness of proposed projects and properties. AACR Grants are funded by the Historic Preservation Fund (HPF), administered by the NPS, and fund a broad range of planning, preservation, and research projects for historic sites including: survey, inventory, documentation, interpretation, education, architectural services, historic structure reports, preservation plans, and bricks and mortar repair. Grants are awarded through a competitive process and do not require non-Federal match. Preservation projects must range from $75,000 to $500,000 in federal share, of which 10% may go toward pre-preservation costs such as architectural or engineering services. Grant applications that solely involve pre-preservation work must range from $15,000 to $50,000. Preservation projects fund physical preservation of a historic site to include historic districts, buildings, sites, structures, and objects. Projects must comply with Section 106, NEPA, and execute a preservation covenant/easement. Eligible costs include pre-preservation studies, architectural plans and specifications, historic structure reports, and the repair and rehabilitation of historic properties according to the Secretary of the Interior’s Treatment Standards for Historic Properties. All applications must include a National Register Eligibility Assessment worksheet. 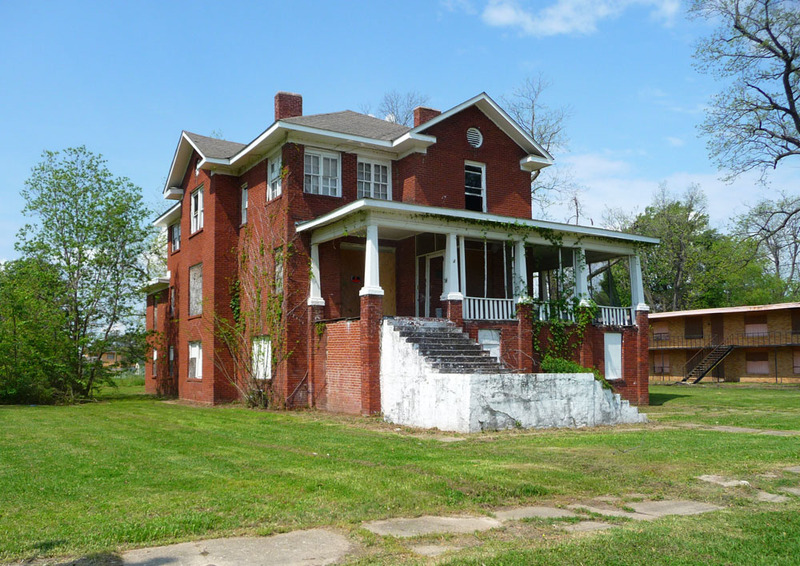 Properties must be listed in the National Register of Historic Places or designated a National Historic Landmark either individually or as part of a district whose significance is associated with African American Civil Rights in the 20th century. If the property is not listed for its association with African American Civil Rights in the 20th century, or not listed at all, the Eligibility Assessment form should provide information that demonstrates its association. Projects that are not listed on the National Register or are not listed in association with African American Civil Rights in the 20th Century must include a nomination or amendment to an existing nomination as part of their project. History grant projects must range from $15,000 to $50,000 in federal share. Eligible costs include survey, planning, and documentation of historic sites/events, as well as the creation of interpretive and educational materials around significant sites (including oral histories). Projects must be associated with the African American civil rights movement of the 20th century. Successful applications will emphasize innovative strategies, and creative projects with measurable results, and include cross-generational engagement that promote and preserve the community’s civil rights resources. Projects should involve public-private partnerships and serve as models to communities nationwide. Your project must fit one of the categories listed below. If a project overlaps more than one category, select the dominant category. More about Civil Rights grants . . .